As it turns out, I kept to my (roughly) one-single-a-month pace for the first quarter of 2017, but then skipped a month and only put out one more single in the second quarter. While I did make a few attempts to start some other recording projects, I never got sufficient momentum going on any of them to feel they were on a path to completion. There is one in particular that I’ve kept coming back to, but my progress, or lack thereof, seems more like treading water than even doing the doggy paddle in some forward direction. Some of my detours did involve the visual arts. Creating cover art for four singles forced my hand on that, but I also spend a fair amount of time, especially in the second quarter of the year, revisiting my passion for photography and photo editing. In fact, sifting through one particularly large photo set (upwards of 500 photos taken in less than three hours at a local marsh and wildlife refuge — see the dragonfly photo at the top of this blog entry for one example) got me looking into a new photo editing “toy”, which I’ve since added to my overall set of creative tools. Then there were those “life gets in the way moments”, including an expensive plumbing problem and having my dishwasher die, then having major hassles getting its replacement installed, which consumed the better part of four weekends (while also requiring additional plumbing work). In fact, those particular detours were the main reason my fourth single ended up dropping in early May rather than April, as well as the biggest factor in derailing the recording momentum I’d had going to that point since weekends typically provide the only significant blocks of time I have for recording. I also find that, once I take a break from recording, it is much harder to get back into it, but my extended break from the very last part of May through June had as much to do with some social events, including a visit from one of my brothers’ families and a hike with a friend, both of which provided some photographic opportunities that then led to some photo editing opportunities. So here we are in early July, and I’m having mixed thoughts on what’s next. On the one hand, I want to get back to some recording, including finding some way to get myself through the one project that has been vexing me with its seeming lack of progress. I think what I really need to do that is buckle down and just force myself to try things while minimizing more pleasant distractions, at least until the point where it gets enough forward momentum going to make its progress self-sustaining. But I also have other recording projects in mind that feel more exciting on the creative front, while also being more daunting in some ways, and there is temptation there. I suppose all this is to say I’m having a bit (or maybe a lot) of trouble focusing at the moment. 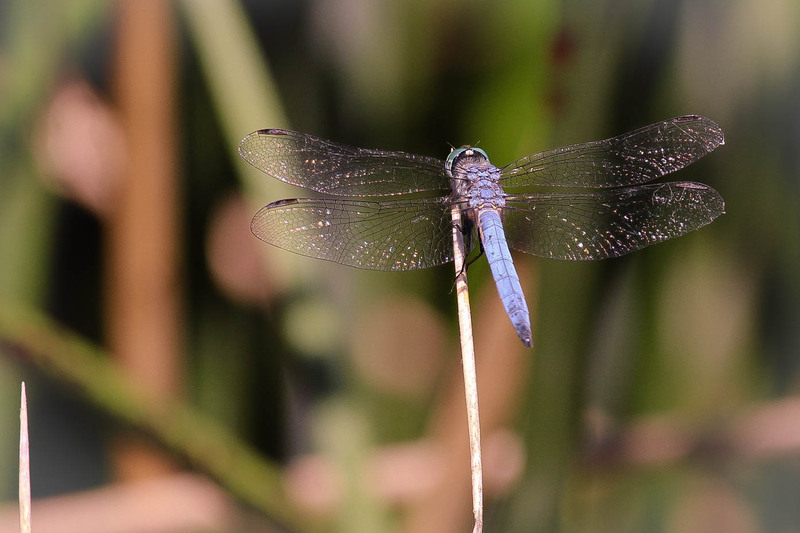 There are so many things I’d like to do — way too many for the time and energy left over after my day job — and my inclinations are flitting about, not unlike the dragonfly whose image I managed to capture in a still moment or two late last month. Oh, and there are songs to be written, too. And meals to create. And … SQUIRREL!! !